Anthony Noriega is an Adjunct Professor at New Jersey City University, He has been using the NAO robot since 2016 and this is his story. Professor Anthony works with his students on Coreograph basic programming during his AI classes with NAO. When they have specific projects with the robot, these can last half of the session. 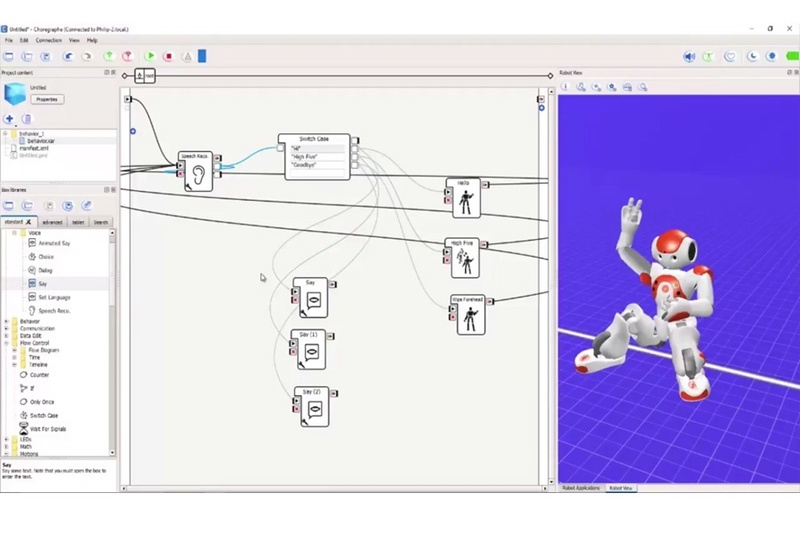 For Professor Anthony and his students, what they love most about NAO is its ability to dance and the flexibility with visual programming. NAO creates a dynamic environment for the class where motivate students enjoy programming the robot. The educational and social impact that Professor Anthony has noticed during his work with NAO and the students, is the motivation to work on robotics and the awareness of Artificial Intelligence. The impact on the community and the rest of the district has been positive. Other schools have been motivated to acquire NAO robots, and organizations like banks and hotels have customized applications to make NAO work as a host for their customers. That's the big impact that we want to create with the students. "I expect to continue to teach the AI class and further use the NAO Robot , Coreograph, and Python all together to keep teaching the students programming" said Professor Anthony. What an awesome job! Are you interested in having a NAO robot ? Ask for price quote request.